We're about to finish our live coverage here but you can still tune in to information videos from ESA. Michael Khan points out that the launch is not just the work of ESA but really is a global effort. On the stage Michael Khan is explaining rocket speeds and the process of separation. 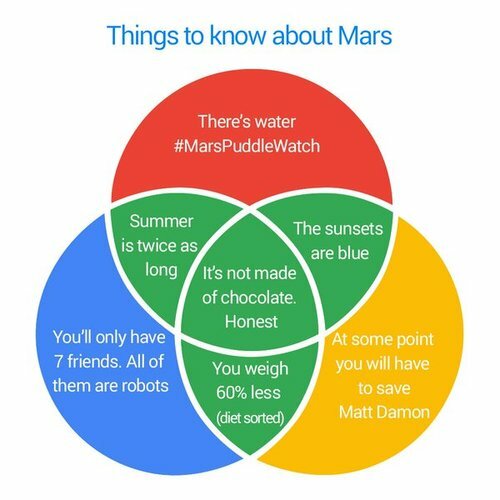 The next chance to launch something to Mars will be in 2018. ESA analyst Michael Khan explains which bits of the rocket drop off as the whole thing heads toward the edge of the atmosphere. 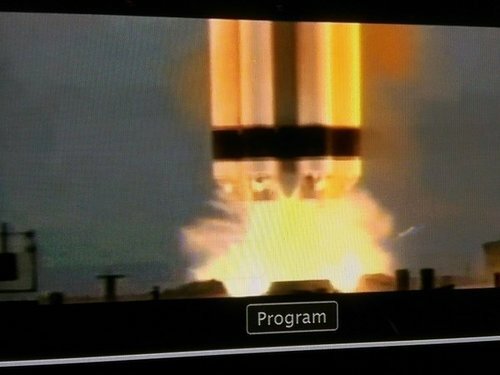 Exciting to see the rocket lift off there. The Russian proton rocket now heading up into the clouds. 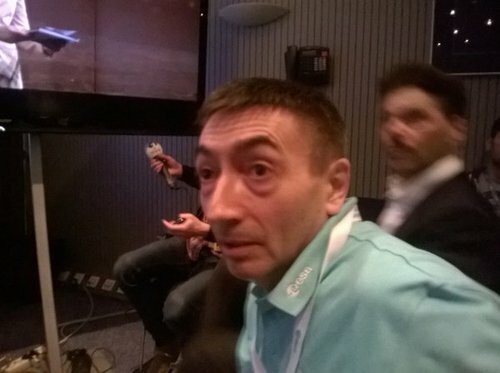 ESA analyst Michael Khan is talking at the moment about how the Russian launch works - integrated horizontally and then moved before launch. 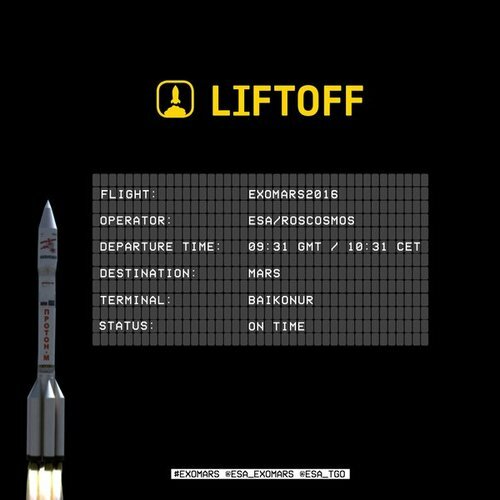 ExoMars will be looking at the weather and measuring the atmosphere around Mars. If the trip is successful, there may also be a Rover launched in a few years time. Views now of the launch pad in Baikonur. Baikonur Cosmodrome is said to be the world's first and one of the largest launchpads in the world. Urbina says that he wanted to contribute to something larger than himself - such as the exploration of the solar system and to find out what a crew would need to go to Mars. On stage at the moment, Diego Urbina who was a participant in the Mars 500 simulation experiment.